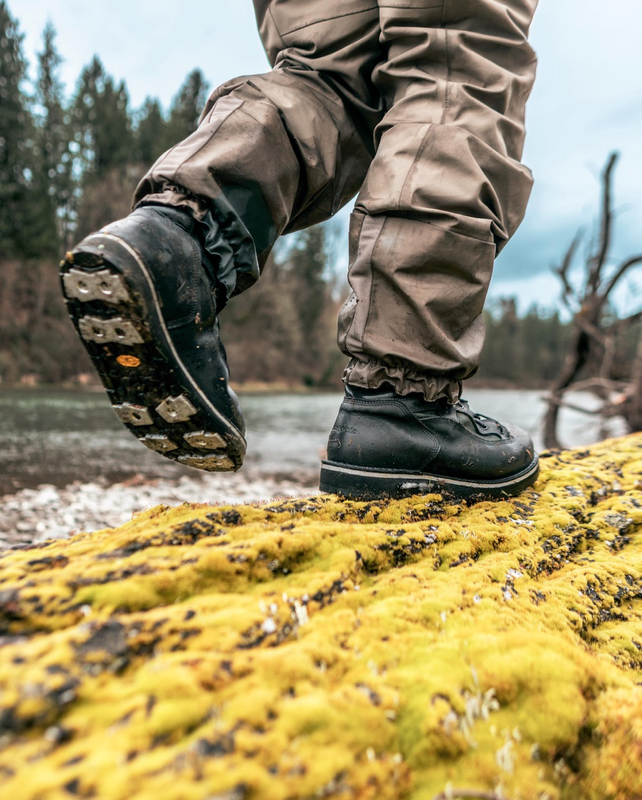 The new Patagonia Foot Tractor Wading Boot built in Portland Oregon by Danner Boots is the finest wading boot we have every put on our feet. Patagonia has broken new ground with The Foot Tractor wading boot in terms of durability and comfort. Purchase a pair of Foot Tractor Wading Boots in any sole configuration and receive a $20 gift card at the Caddis Fly angling shop. The Foot Tractor by Danner features full grain leather treated with a proprietary PFC-free saline solution tanning process that gives it toughness and longevity. 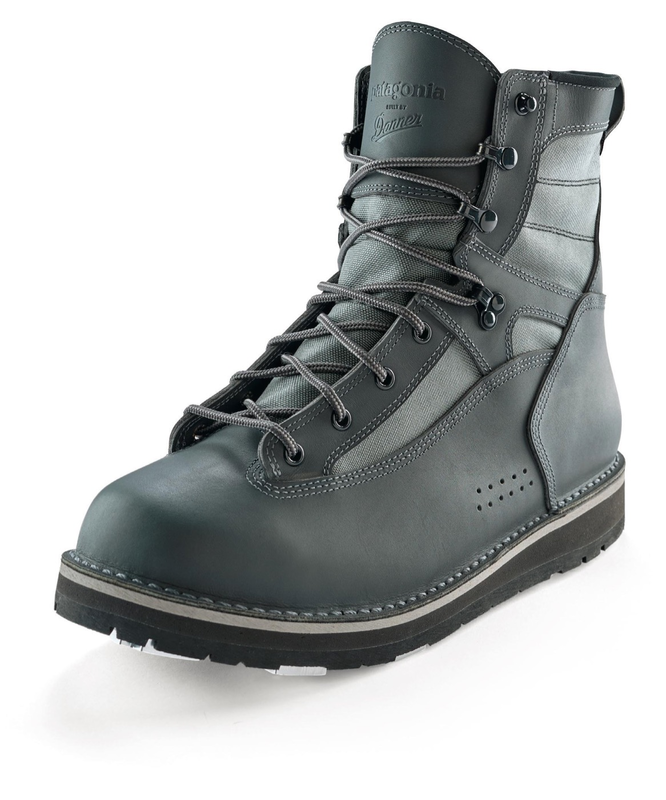 Unlike synthetic boots the full grain leather can form to your foot for a fit like no other wading boot. The Foot Tractor is constructed with durable 1,000 denier panels on its upper. Speed laces allow you to crank down the upper and provide super ankle support for a hiking boot like fit. 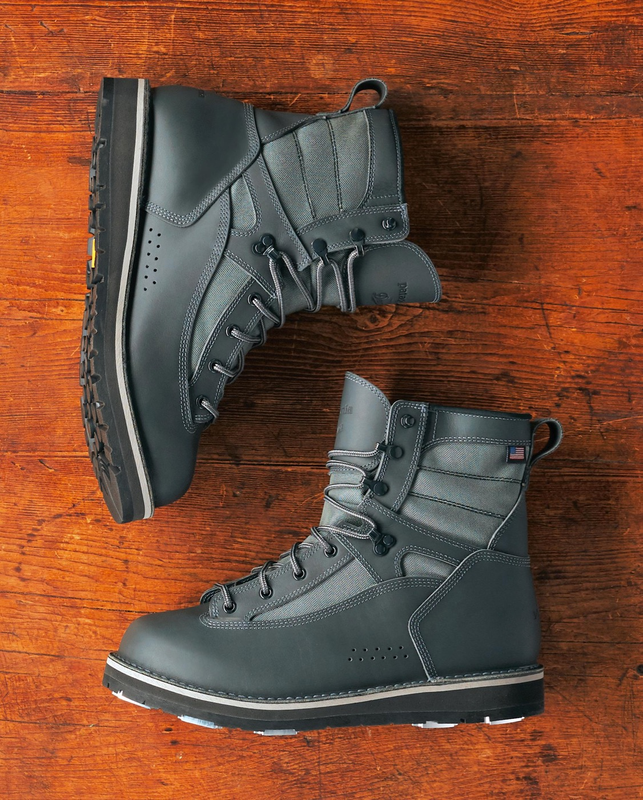 The boots have medial and lateral perforations for drainage, a system tested and proven on Danner�s combat boots they build for the US military. The Foot Tractor is available with three sole options. 1. Vibram Idrogrip rubber is the very best in �sticky rubber it offers incredible durability and the best grip for slip resistance on wet rocks. Each pair comes with a pair of studs. 2. Aluminum Bars, a combined Vibram Idrogrip and aluminum bars. Each set of boots comes with an additional set of bars at no charge. 3. A solid felt sole. Felt studs can be driven into this sole for added traction. �Recraftable Stitchdown Construction�. 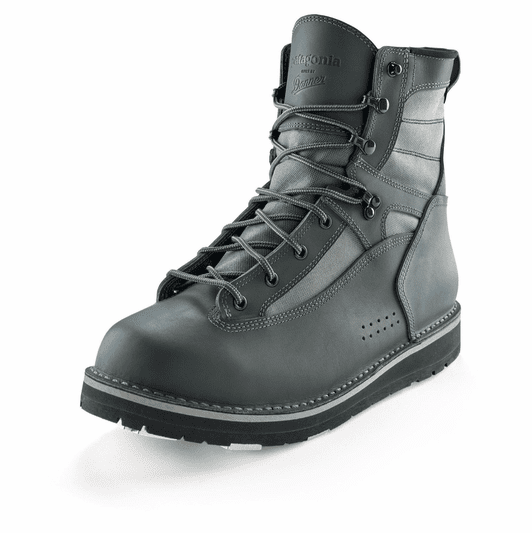 The Foot Tractor Wading boot by Danner has been designed to be recrafted. If after many years you wear down the soles of your boots the stitchdown construction allows for your boots to be sent back to Danner�s crafts-people and resoled for a fee. The Foot Tractor by Danner features a dual midsole design. The upper is stitched to a 5mm rubber top midsole giving you just enough rigidity and stability to rock hop or hike when you are in or near the streambed. The bottom midsole is a water resistant polyether poly urethane which adds addition comfort, support and toughness. Fit: In our testing we have found that you stay with your shoe size on these, you do not need to go up a size. The Patagonia Foot Tractor by Danner is an investment in durability and comfort for the wading angler.